VIPAccessEXCLUSIVE: Josh Levi Interview With Alexisjoyvipaccess At PMG’s Gift-wrapping Event With Hasbro And GenerationOn! Can we all take a moment to totally fan-girl over Josh Levi and his indescribable talent?! Josh Levi has definitely made his mark in the entertainment world as one of the most gifted, musically inclined, and incredible multi-threats. We all were left in awe when he first set foot in the entertainment industry during his journey on the hit, singing competition show, “The X Factor.” Since then, the rest is history and Josh Levi continues to take the entertainment world by storm and leave us all absolutely and completely speechless with his remarkable talent. From his own music to the covers that he shares on his YouTube channel, Josh Levi’s powerful and stupendous singing voice is something we can listen to 24/7. Just recently, Josh Levi started off another excellent chapter in his career in the music world as his band, Citizen Four was signed onto the renowned Island Records record label. Josh Levi and Citizen Four has been making a terrific takeover through their phenomenal music they have been releasing that goes viral the second they bring it out to their fans. In fact, Citizen Four just recently wrapped up a very successful and fantastic tour with musician Sabrina Carpenter and they mesmerized everyone with their exceptional performances. In addition to making an everlasting impact in the music industry, Josh Levi is also a magnificent actor. He has showcased his acting talent in many projects and just recently, he joined the cast of AwesomenessTV’s “Royal Crush” for the fan-favorite show’s third season. Josh Levi continues to be such a great role model to all of his fans and he shares his positive influence and inspires fans to make a difference in this world and make their voices heard. We can’t wait to see all of the other exciting projects Josh Levi has in store and we know that 2017 will be Josh Levi’s year yet again. I, Alexisjoyvipaccess had an excellent time at PMG’s gift-wrapping event with Hasbro and GenerationOn and had a marvelous time catching up with and interviewing the wonderful Josh Levi again at the event. 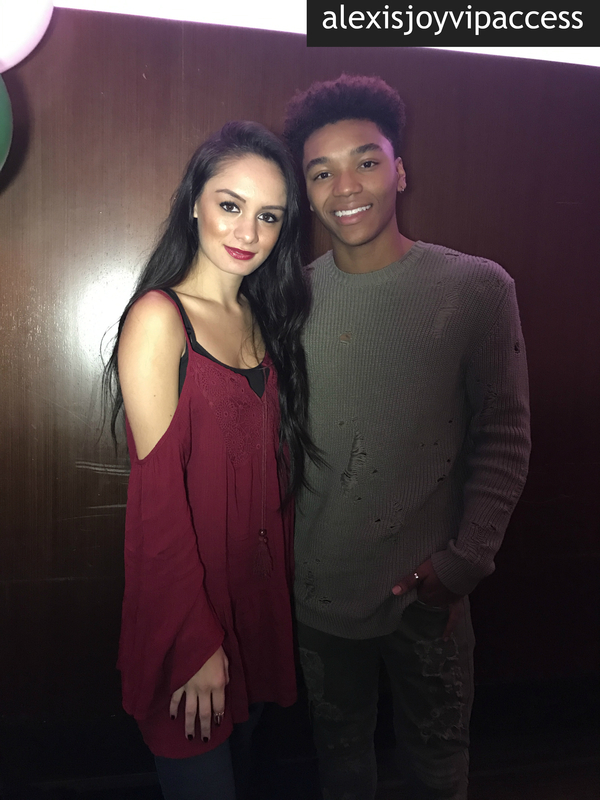 Josh Levi dished exclusively to Alexisjoyvipaccess all about what the tour experience was like for him and his band, which musician he would like his band to make a song with, what it was like working on set of “Royal Crush,” and so much more only in our VIPAccessEXCLUSIVE updated interview. Josh Levi even took on a fun speed round and revealed what name he would give to a Poptart he would make (Josh loves Poptarts, by the way!) and more – hear what he had to say in our VIPAccessEXCLUSIVE updated interview below. Thanks for another fun interview, Josh – always a blast chatting with you! Check out my VIPAccessEXCLUSIVE updated interview with the remarkable Josh Levi at PMG’s gift-wrapping event with Hasbro and GenerationOn below! Previous VIPAccessEXCLUSIVE: Rio Mangini Interview With Alexisjoyvipaccess At PMG’s Gift-wrapping Event With Hasbro And GenerationOn! Next VIPAccessEXCLUSIVE: Madisyn Shipman And Thomas Kuc Interview With Alexisjoyvipaccess At PMG’s Gift-wrapping Event With Hasbro And GenerationOn!